CAIRO — Egypt's highest appeals court on Monday upheld the death sentences against 10 people convicted over a soccer riot that killed over 70 fans in 2012, becoming one of the world's deadliest soccer disasters. The verdict by the Court of Cassation is final. The defendants were charged with murder, along with other charges. The court also upheld convictions of 22 suspects who received up to 10 years imprisonment over the rioting. A total of 11 defendants were sentenced to death but one remains at large and was tried in absentia. 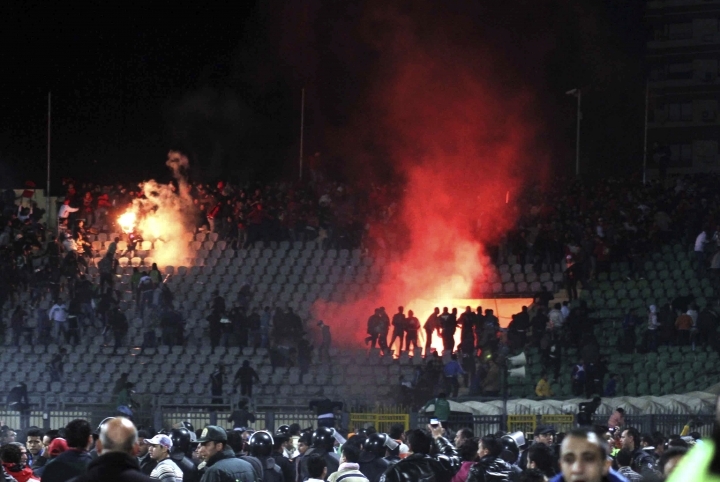 The rioting erupted on February 2012, at the end of a league match in the Mediterranean city of Port Said between Cairo's Al-Ahly, Egypt's most successful club, and home side Al-Masry. In a socking and unexpected turn, Al-Masry fans rushed to attack Al-Ahly supporters with knives, clubs and rocks. Witnesses and survivors described victims falling from the bleachers as they tried to escape. Hundreds of others fled into an exit passage, only to be crushed against a locked gate with their rivals attacking from behind. 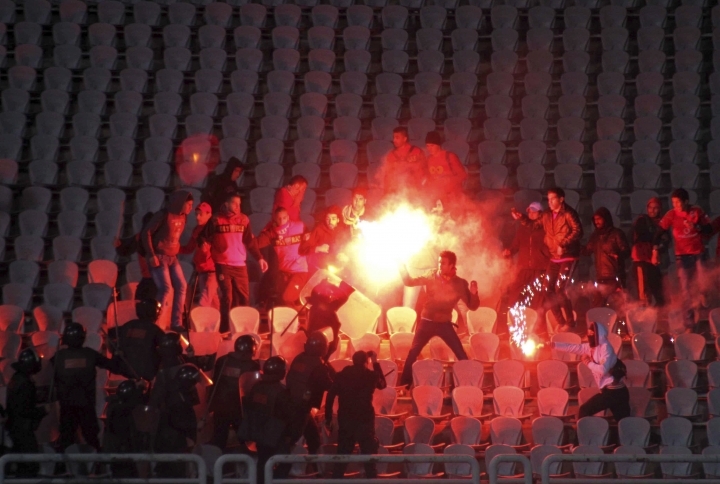 The riot led to the suspension of Egypt's top soccer league for over a year. The league later resumed, but with matches played in empty stadiums. The first Egyptian Premier League game in which fans were allowed back into the stadiums was played in February 2015, but that occasion was also marred by the death of 22 fans in a stampede outside the grounds. The stampede followed the use of tear gas by police to stop what authorities at the time said was an attempt by fans to storm the military-owned stadium in a suburb east of Cairo. In the Port Said disaster, most of the victims belonged to Al-Ahly's "Ultras Ahlawy," an association of hard-core fans now banned by authorities. In 2015, an Egyptian court ruled that the "Ultras" were a terrorist organization. Members of the "Ultras" have long been at odds with the nation's highly militarized police, taunting them with offensive slogans during matches and fighting them in street battles. Hard-core fans of other clubs also identify themselves by going under variations of the Ultras' name. During the 2011 uprising that toppled autocratic President Hosni Mubarak, the Ultras often provided muscle at street rallies, directing protesters, leading chants and standing first in the line of fire as riot police unleashed tear gas. Earlier this month, Egyptian police detained more than 100 Al-Ahly fans over a period of two days on suspicion they had planned to stage a protest on the anniversary of the Port Said rioting. The Ultras subsequently cancelled a planned commemoration. Five of those detained were charged with inciting protests and belonging to an outlawed group. Public gatherings without a permit are banned under Egypt's draconian anti-terrorism laws. Copyright © 2015 - 2019 Sports - Morning Dispatcher. All Rights Reserved.